Are you interested to earn money through Freelancing websites? Want to make money with zero investment? If so, Read on this article to get a better idea about the best freelancing websites in India. With the advent of today’s modern technology, Freelancing is one of the preferred ways that people opt for making money. This is because of numerous number of advantages that these freelancing websites offer. Moreover, the only thing you need to have to start your career is a computer system with internet connection. You can even work as either part time or full time worker depending upon your leisure time. Whether you want to become a content writer, virtual assistant, a graphic artist or a programmer the internet always has a place for you. Freelancing websites not only allows you to make money but also helps to sharpen your talents. It is one of the good ways to improve your skills. Perhaps, there are wide variety of freelancing websites in different fields like virtual assistance, teaching, programming, content writing, sub task works, etc in which you can start up to make money immediately. 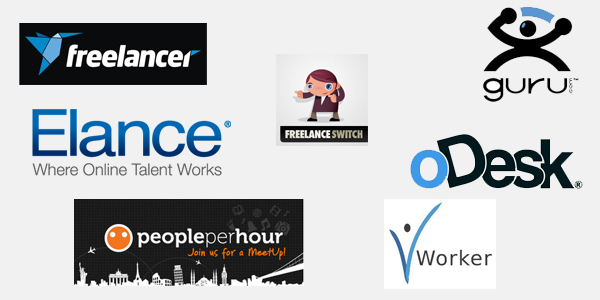 Few such best freelancing websites are listed below in this article. You can better make use of it to turn into a freelancer at once. Check out the list below and see where your skills and talents apply. The first ever best site to make money online as a freelancer is “Freelancer.com”. You can earn dollars by doing projects for various clients all across the world. This site offers the freelancer to bid for the project they work and offer you accordingly. This site is a best place for the content writers, Programmers and web designers since they can start a earning from $ 30 per project. The second best site is “guru.com”. This is one of the largest freelancing website for the programmers, web designers and content writers. This is a genuine site where payments are released immediately as soon as the freelancers finish their projects. The payment mode will be equally safe since it makes use of Escrow to protect the interest of both the employers and freelancers. The third best site is “Elance.com”. This is also one of the best sites where the freelancers can work. This is a popular site and most of the freelancers are making money from this site only. Here, payments are sent immediately as soon as your finished task has been approved. This site helps you to build good relationship with the clients online. The fourth best site is “oDesk.com”. This is the place where you can build your reputation and as the ratings goes higher more tasks are available for you. This site provides wide variety of opportunities in every possible field such as Mobile app developer, SEO specialists, Translators and article writers. The fifth best site is “vworker.com”. This site is dedicated for those who are interested in graphics, writing and web designing. You can even check the vworker’s statistics displayed on the home page of its site. The sixth best site is “Peopleperhour.com”. This site was started in 2008 and now it has become one of the most popular sites for small businesses and freelancers. Similar to the other sites, the freelancers could bid on the particular project they wish to work and they are paid as soon as they finish the task successfully. The seventh best site is “Freelanceswitch.com”. This is another freelancing site where the clients and the freelancers can build a good relationship. You are provided with Freelancer pricing guides to make you easy to work with this websites. Thus the list goes on. Similar to this, there are large number of other freelancing websites which allows you to make money online without any investment. But however, bigger the site is, more the competition it has and thus it will take a little time to turn you into a successful freelancer. Thanks for making us aware of the best freelancing sites for students . I’m sure a lot of students will benefit from your post . Thanks for make a comment on my blog. Freelancing is the best option for students to earn money from online. Glad you like this post. Keep on reading my blog pramod. Make your profile with outstanding feedback for freelancing site and get paid from client straightway. Getfreelancer24.com wants to expand his business globally by his good customer service and reputation. This is one of the reasons why this site looks simple but easy to use. Therefore, any freelancer and buyer can easily work with getfreelancer24.com according to their convenience. 1. Buyer can hire any freelancer at any time and pay them directly without any site service charge. 3. You can join in any contest or bid any project for 100% free. 5. You can post any contest/project for 100% free. 7. Buyer can decide their own project price. 9. You can hire and invite any personal buyer by this site. I would like to invite all freelancers and buyers to join in this attractive freelancing site and increase your profit margin incredibly. Remember, this is your golden opportunity to improve your online profile! Freelancing is one of the best way to make money from online. Getting project from freelancing is sometime become hard, once we get, we will regular projects from other companies. Profile is very important for getting projects from freelance sites. Thanks for the detailed article! You should have a look to https://www.aog.jobs. AOGJobs – online IT marketplace, where you can find jobs and hire workers at a click. A lot of people don’t know where to download mp3 songs without having to pay for it.